“Romantic and blood-streaked and infused with magic so real you can feel it on your fingertips” is how Cory Doctorow described Deathless, a new novel by Peaks Island’s own Catherynne Valente. “Cat” and her husband, Dmitri, had the opportunity to immerse themselves in the setting of her book on their honeymoon – walking the streets where characters lived and exploring the history of the Siege. 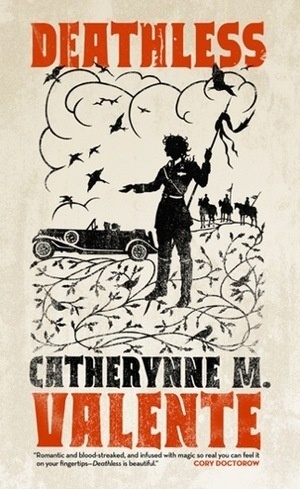 Catherynne will be at our beloved Longfellow Books today Thursday, April 28th at 7:00 pm to read from her latest novel – a collision of magical history and actual history, of revolution and mythology, of love and death. It brings Russian myth back to life in a stunning new incarnation. Catherynne will also be signing books! Don’t miss it.